BLM argued that police violence and killings against Black people in the U.S. are connected to the decades-long Israeli oppression of Palestinians. Activists from the Black Lives Matter movement in the U.S. joined a protest in the Palestinian village of Bilin near Ramallah city in the West Bank in an effort to put an international spotlight on the Israeli oppression, occupation and “genocide” of Palestinians. “Today, delegates from the Movement for Black Lives join organizers and activists in Bil’in, a territory in occupied Palestine where resistors are engaged in nonviolent protest,” the Black Lives Matter movement said in a statement through its official Facebook page Friday. At least two people were arrested during the peaceful protest by Israeli forces as they crack downed on the demonstration, which takes place every week. Palestinian news agency Ma’an said those arrested were taken to an unknown location and their citizenship remained unidentified. Bilin has become a well-known site for action against Israeli occupation and settlement activity in the region and its residents have been organizing a weekly Friday protest for the past 11 years. Protest at the village are often met with tear gas, rubber-coated steel bullets and stun grenades from Israeli forces. 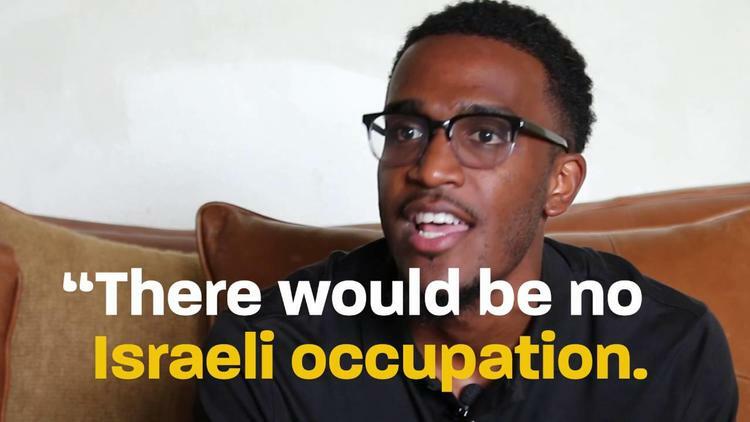 Meanwhile, the Black Lives Matter movement argued that police violence and killings against Black people in the U.S. are connected to the decades-long Israeli oppression of Palestinians. In recent weeks BLM activists has been intensifying their international efforts against the killings of Black people and other non-white minorities around the world. Last week the group joined activists in Brazil to protest police killings as they joined a ceremony at Candelaria cathedral, the infamous site of a 1993 massacre in which a death squad, including off-duty policemen, killed eight children and adolescents who slept on the church steps. Also last week, BLM activists traveled to France to join more than 1,000 protesters against the the death of a young Black man in police custody July 19.